Chris Brandt has trained in India and Thailand, and is a certified in the Wat Po lineage of Thai Massage. He teaches that it is not important what we do in a one hour yoga class, but rather how that one hour affects the other twenty-three. Away from the mat, Chris is a professor of Music Business, and consultant for businesses and charities. 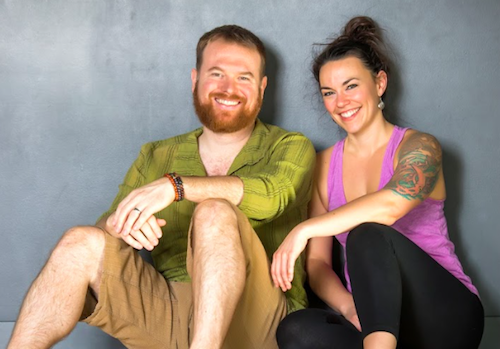 Jes Von Henzke is a registered massage therapist, yoga teacher, and long-time partner yoga enthusiast. She is a yoga teacher trainer, contributing to the YTT-200 program at Langara College. “The great art of life is sensation” (Byron).